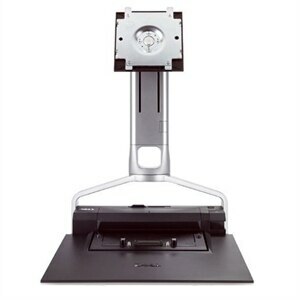 Make the most of your valuable workspace with this Basic Monitor Stand from Dell™. Easily adjust the height and position of your monitors to a comfortable, ergonomically appropriate position. This product has been tested and validated on Dell systems to ensure it will work with your computer. It is supported by Dell Technical Support when used with a Dell system. Please purchase E-port replicator for a full docking solution.